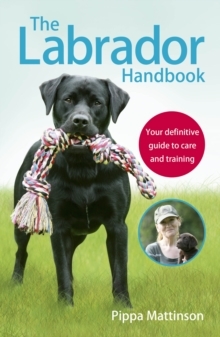 Pippa Mattinson, dog-training specialist, tells you everything you need to know about training and caring for your labrador. From puppyhood to old age, this book provides an in-depth guide to raising your labrador, making for a contented owner and a happy dog. Pippa Mattinson is in touch with over 300,000 dog owners every month through her website www.thelabradorsite.com and online forum www.thelabradorforum.com and knows exactly what labrador owners want. Founder of The Gundog Trust, her first two books Total Recall and The Happy Puppy Handbook have won praise from many happy dog owners.